Please note when institutional investment occurs in the buy-to-let sector it is referred to as PRS or “Private Rented Sector” investment. This is a working copy which we will continue to add to and update, but please feel free to comment below on any aspect or element of research you’d like to see included in the future. The case for investing in the Private Rented Sector (PRS) has been promoted for some time by institutional investors. The sector demonstrates long term out performance and lower downside risk. However, residential property accounts for just 2% of institutionally managed portfolios despite equating to 85% of the UK build environment. Peer group risk – institutional weighting to the residential sector is low so increasing exposure increases risk of underperformance versus the benchmark. Scale – the size of institutional funds means they require large schemes (often in excess of 100 units) and asset management efficiencies. As this product is generally not available, they focus on creating it via a site acquisition and development model. Quasi public sector crowding out – publicly funded and not-for-profit housing associations are active in the sector in partnership with private investors. It is not surprising therefore that the PRS sector is dominated by smaller investors (buy-to-let landlords) now totalling some 1.4m to 2.0m, depending on whose research you believe. This sector has become an established investment class in the UK. There are numerous house price indexes (Halifax, Nationwide, Land Registry etc), however, these only focus on capital returns and ignore the income component, or (net) yield. Investment Property Databank (IPD) provide benchmarking and analysis services to the UK institutional investment market. Their focus is on commercial property thus their coverage of residential property is limited to 10 funds totaling 5,416 properties or £2.8bn and represents just 0.2% of the PRS sector. 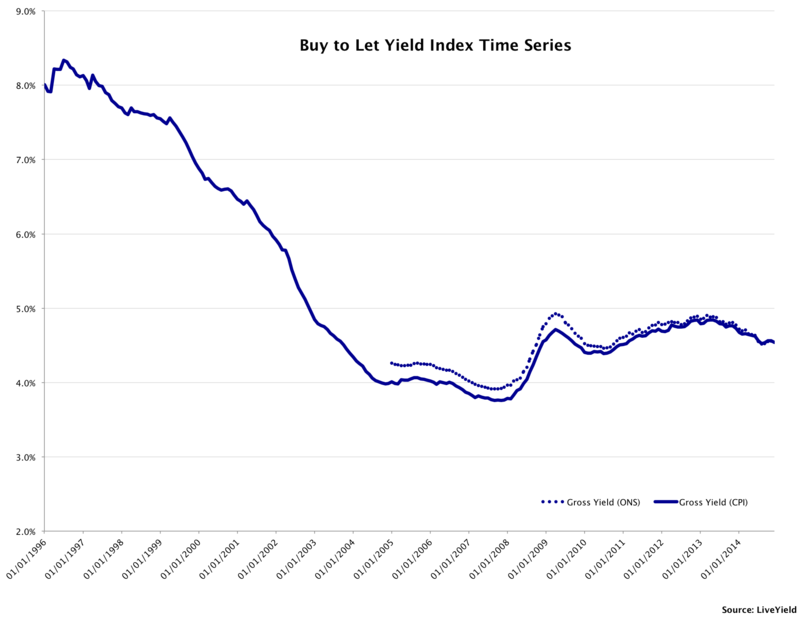 LSL produce an index based on 20,000 properties, but they take the gross yield adjusted for voids and don’t include management fees, which is unusual for a chain of estate agents. That said, IPD’s figures support the case that UK residential property in institutional funds has outperformed commercial property over each decade since the 1980s. Their analysis also reports that residential shows a lower level of risk than both commercial property and the equity market. Source: Land Registry HPI, IPD, TrustNet. 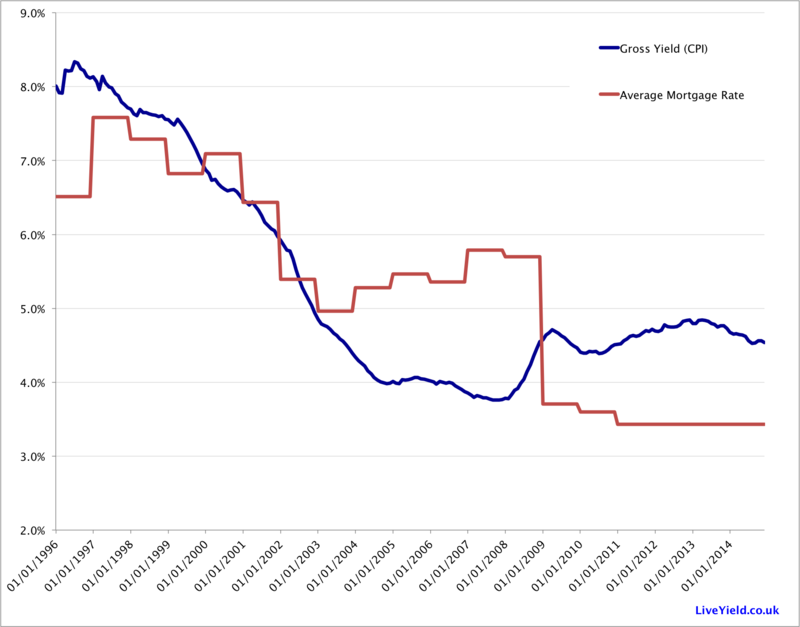 The above chart uses data from the Land Registry House Price Index adjusted to assume a net yield (income return) of 5.0% pa in order to compare total returns on a like-for-like basis with other leading benchmarks. On this basis the UK PRS sector has matched FTSE 100 returns and outperformed property companies in the FTSE 350, institutionally managed residential portfolios and commercial property funds covered by the Investment Association. It is worth noting that this chart underplays the performance of the PRS slightly as it doesn’t show the effect of gearing. 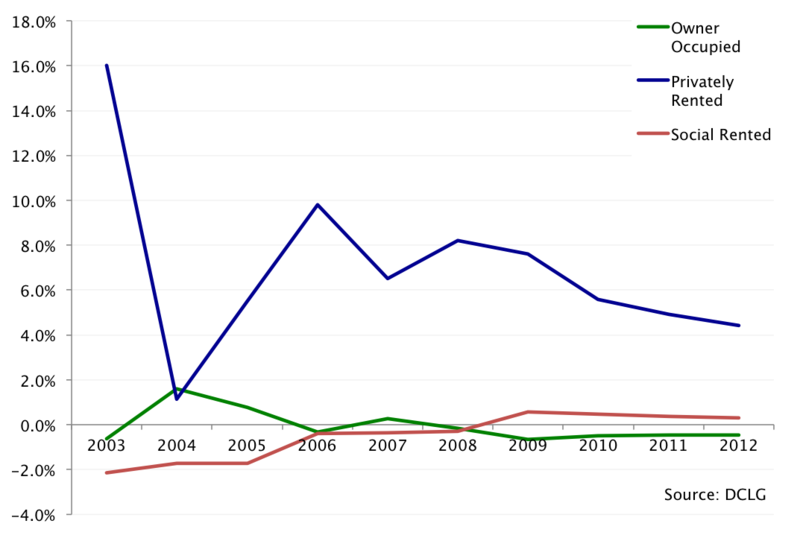 It compares ungeared property returns with geared equity returns via the FTSE and IA Property Funds. 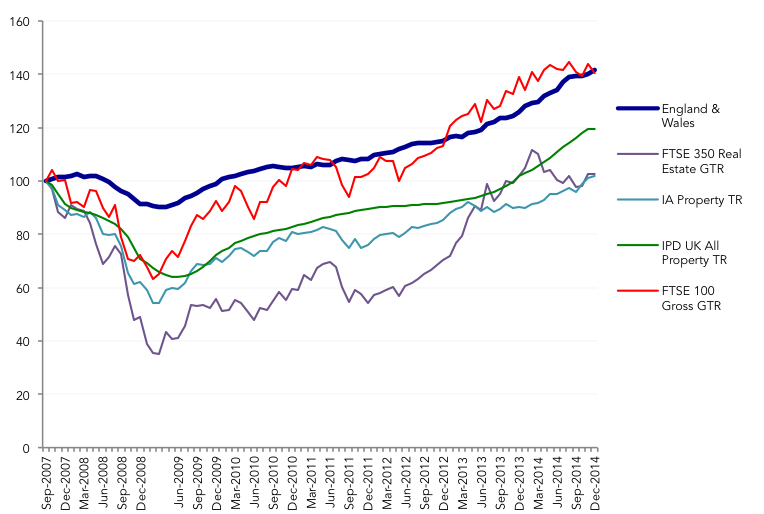 Since the last peak of the property market in September 2007 to December 2014 (assuming a 5% net income return), the PRS sector has produced a total cumulative property return of 42%, assuming a typical mortgage of 75% at an interest rate of 4% the return increases to 52%, taking a geared index above that of the FTSE 100. We explore the effect of gearing on property returns below. It is understandable that any democratically elected government prefers a stable housing sector and solvent financial system. 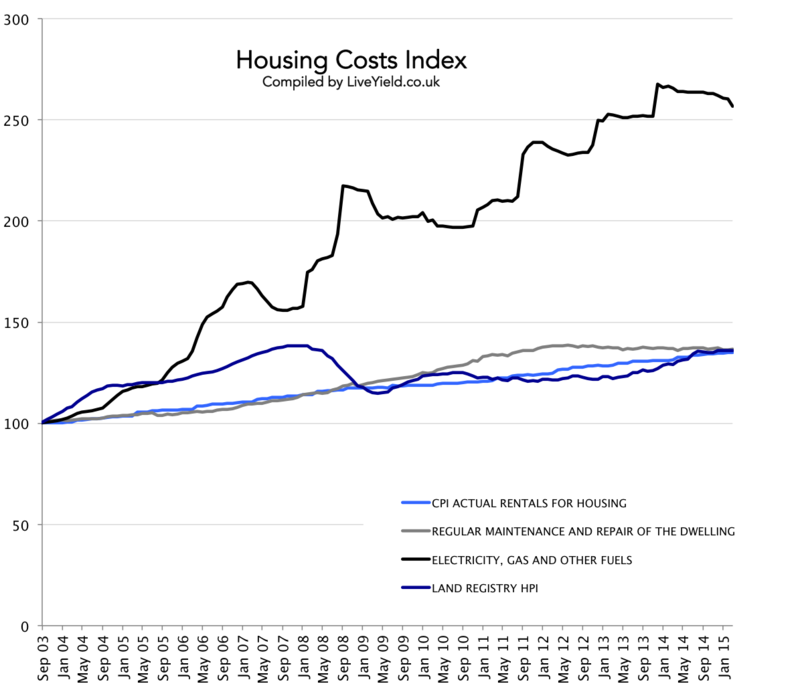 The degree to which politicians should go to support this is a wider debate, but the UK government is currently using both monetary (interest rates and quantitative easing) and fiscal levers (help-to-buy, funding-for-lending, stamp duty and even recently mooted extending right to buy) to support the housing market. How this will develop over the long term will be played out globally via currency markets, but whilst living in the UK and getting paid in sterling we are all long (invested in) the housing market to some extent. History has show us that if house prices fall government intervention is likely. Given the size of the residential market, it’s not surprising that house prices have become the UK’s benchmark for confidence. It is much more tangible than the FTSE 100 and felt more directly by the UK voting populous. There is a general consensus from government, house builders, estate agencies and the Bank of England that house price increases in the UK are due in large part to a lack of supply. 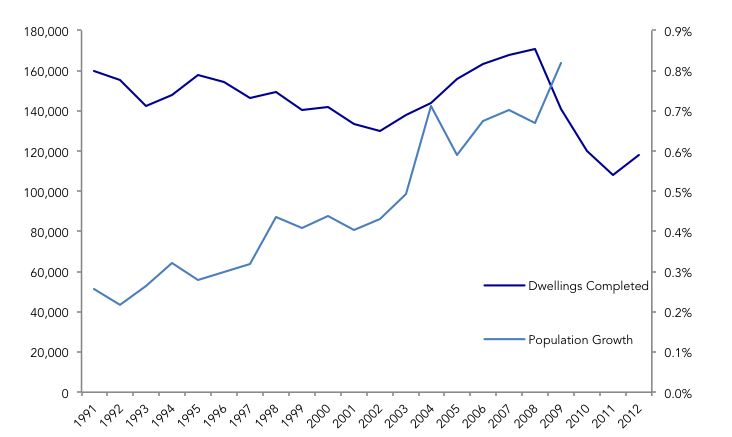 The number of dwellings completed is on a downward trend whilst the population is increasing. This is coupled with decreasing household size. Whilst the theme is quoted UK wide, the reality is it varies significantly on a regional basis and is driven by London and the South East. The number of households in England is projected to grow to 27.5 million in 2033 according to the ONS. This is equivalent to adding the current total housing stock in Wales, Scotland and Northern Ireland to England. In numbers this represents an increase of 4.5 million units from today at an annual forecast growth rate of 232,000 households per year. Looking closer at the forecasts, over two-thirds (68%) of the growth is accounted for by one-person households, which are projected to rise by 4 million from 2008 to 2033, or 159,000 per year on average. Decreasing household size from 2.33 persons per household in 2008 to 2.16 persons per household in 2033 means that even without population growth England requires an additional 8% increasing in housing stock or 1.8m units. This is equivalent to the housing stock Wales plus half that of Northern Ireland. In 2010 there were 1.8m more households in private renting accommodation than in 2000 and one-in-five households are predicted to be private renters by 2020. The only sector to show growth in housing over the past decade has come from private rented sector accommodation, with all others showing a decline. Residential property investment shows superior risk-adjusted returns to commercial property. The investment class is well established and one the institutions desire to access. The housing market is of huge political influence and continues to receive indirect support from central government. 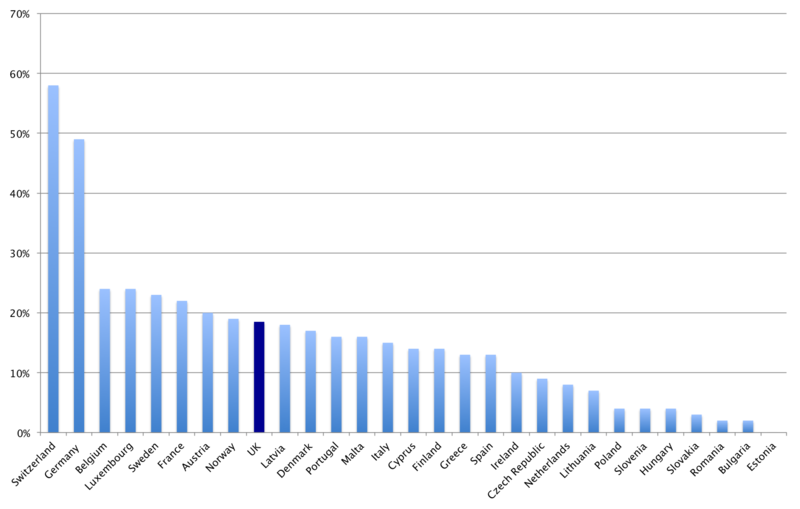 If you live and work in the UK you’re wealth is intrinsically linked to the housing sector. Demand for housing is set to increase due to population growth and reducing household size. Outperformance of the main investment classes, especially on an equally leveraged (or like for like) basis. The last point is one of utmost importance and makes a huge impact on the risk-return analysis and investment strategy. It is one we consider in more detail [soon]. 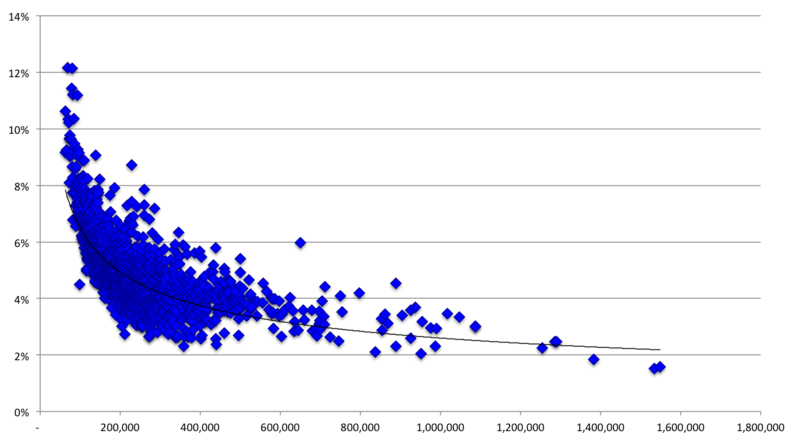 IPD Total Return Index and (downside) semi-standard deviation.